Apna Sweets only use “AKKHA” Kaju and Pure Desi Ghee of Premium Grade. AKKHA Kajus are also known as Whole Cashew. These Kajus doesn’t get fungus on them. At the time of cut-throat competition, we are providing quality product to our customers with reasonable price. Rose Water is used to maintain the softness of Kaju Katli. 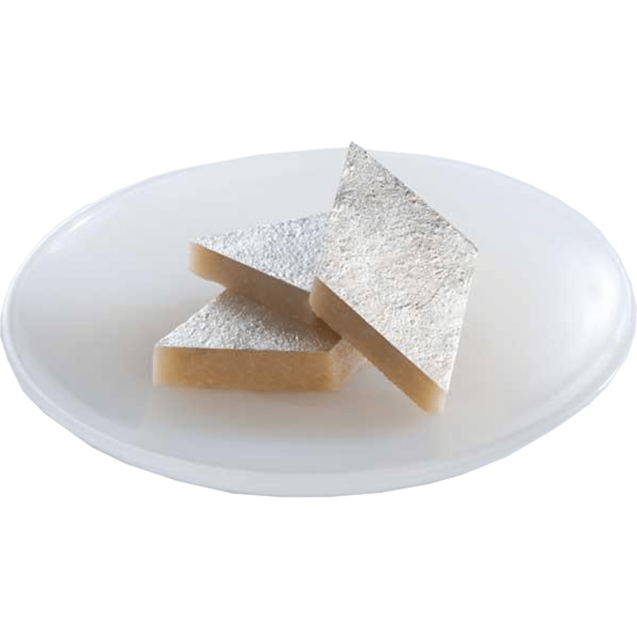 Diamond shape of Kaju Katli will mesmerize you completely. Shelf life of Kaju Katli is 30 days (In Special Condition).